Home | Gutierrez Roofing Co.
Gutierrez Roofing Co. features and installs quality roofing materials supplied by GAF & Certainteed. 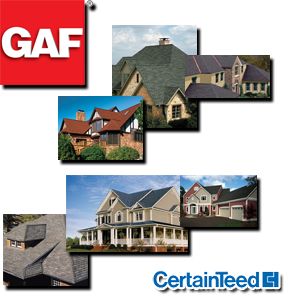 Explore shingle styles, colors and warranties. Gutierrez Roofing Co. specializes in Flat Roofing using Cool Roof Technologies. We recommend EPDM, TPO , PVC and Liquid Membrane systems for energy efficiency. .
Providing a variety of tile roofing options from Eagle & U.S. Tile. Gutierrez Roofing Co. is dedicated to providing high quality roofing services for your roofing needs. For 20 over years, Gutierrez Roofing Co. has providedtop quality service at reasonable prices in and around the Marin county & San Rafael area. We are a fully insured and bonded roofing company. Be it a residential or a commercial space, its important to keep your roof in good shape. Gutierrez Roofing Co. recognizes this importance, we dedicate all our resources to make sure your structures roof is in perfect shape. Maintaining the roofing of any structure is no easy job. But with Gutierrez Roofing Co., you can be assured any problems will be fixed with attention to detail, and they will be promptly resolved to keep the residents and occupants of the building worry-free. Equipped with a proven track record, excellent reviews, and reliable workmanship, our company can guarantee you professional and efficient service. By trusting a reliable company such as ours, your home, be it a residential or commercial one, will be provided with excellent roofing care to guarantee a secure place for everyone. You do not have to wait for your roof to be falling apart due to age or other unforeseen circumstances, schedule a roof inspection today. Be part of our long list of happy and satisfied customers. Trust in a quality local roofing company; trust Gutierrez Roofing Co..